K, I get that reality tv is a term to be used lightly. I know that often it's scripted, it's edited, people are chosen for their chemisty on camera. I accept that, expect that, even. One reason I love reality tv programs on decorating and renovatng is that somehow they seem less phoney and almost practical. I feel like the people on them are real people. But there are times when I am let down. Those of you who have been watching the program "Love It or List It" surely know what I'm talking about. 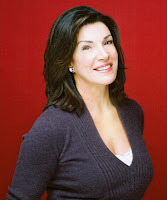 Ever since I started seeing designer Hilary Farr do Vim Cream commmercials I have seen shamelessly obvious plugs for Vim on Love It or List It....and I am not impressed. Are you with me? If we have to sit through the commercials between the shows I definately don't want the show itself to be a commercial! In case you are not familiar with the show, here is an exerpt from their website. "In each hour-long episode realtor David Visentin and designer Hilary Farr compete for the homeowners' final decision to stay or go. David's insider perspective on the real estate market helps target listings to prospective buyers, but Hilary is determined to show homeowners that, within their budget, she can transform their worn-out house into a castle they can love. 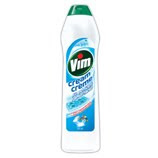 Watch as Hilary shamelessly promotes her new lucrative partnership with Vim Cream, not to be outdone by Swiffer and Bounty who have been subtley invading home reno shows for years now. Spot the rediculous messes and count to see how long each close-up of Vim lasts. If the owners decide to list it, Hilary's hard work adds to the home's resale value. It's a tough decision either way. Which choice would you make?" * words in italics my own, although wnetwork is certainly free to publish this version. What? Product placement?? Who knew!!!! *gasp* Deb, you missed a typo! I'm leaving it in now for posterity.